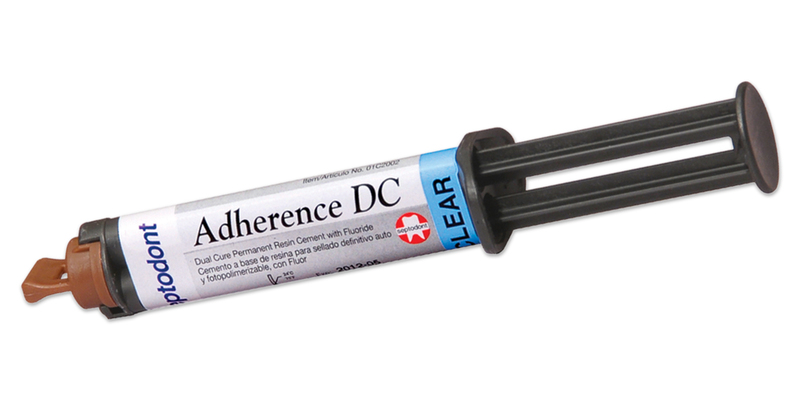 Dual cure permanent resin cement for the final cementation of implant prostheses, crowns and bridges, inlays and onlays, Maryland bridges and veneers. Radiopaque with high compressive and flexural strength. Strong bonds to metal, composite resin, enamel, and dentin. Contains fluoride. Convenient automix syringes. Working time of 3-5 minutes; setting time of 5-9 minutes. Contains: 5 x 4g syringes (1 ea. clear, white, yellow, brown, opaque), 25 mixing tips.